writes Paresh Majithia, Financial Director at Timpson Group plc. We saw savings within weeks of starting to work with their analysts in 2004, and they regularly review spend areas to find new ways to make cost reductions. The Procurement Group’s detailed analysis not only highlighted direct savings, but also looked at how we managed our procurement across our business. As a result, the team set up online ordering systems so that we could order standard supplies direct, removing the need to go through Timpson House. This fitted perfectly with our policy of allowing people the freedom to do their jobs with as little management control as possible. With accurate cost allocation ensured by the team’s addition of cost centres to the purchasing process, my colleagues now spend less time on procurement and we’ve been able to free up central resource previously dedicated to purchasing. One feature of the service that I find particularly beneficial is The Procurement Group’s checking of purchase invoices. This is a fantastic double check for us and ensures accuracy. Care Charity Norwood Will Gain £145,000 Extra Each Year to Spend Directly on Services for Clients. As a charity we rely heavily on donations and we have a huge responsibility to make best use of our income, to provide support to both children and families in need and people with learning disabilities, to improve the quality of their lives and achieve their goals. Although we’ve always worked hard to drive down costs, partnership with The Procurement Group took our cost management to a new level. The initial exercise was fast, efficient, and hassle-free. Working in our own office, the Procurement Group team found all the information they needed with zero input from myself and very minimal input from my colleagues, coming up with new recommendations within weeks. Chambers UK 2008 Law Firm of the Year, Berwin Leighton Paisner LLP (“BLP”), is widely respected for its strong profitability per partner and excellent management. Gordon Howes, BLP’s Director of Facilities, explains the Procurement Group’s contribution. “We have grown steadily in recent years, and now employ around 1300 staff. I’m keenly aware of the dangers that rising costs pose to profitability levels, and I look closely at every area of expenditure to see where savings can be made. 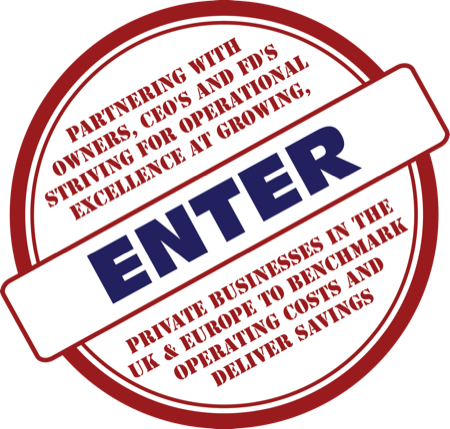 When one of our Partners introduced The Procurement Group, I was initially sceptical about whether they could help. However, once they started to review our stationery and IT consumables costs, the results spoke for themselves. Working closely with our internal team they took a detailed look at our stationery ordering. As a result, we moved to a different division of our current supplier, ensuring that we continued to receive the same products as we were used to, but at lower prices. Sitting with the supplier each month, the Procurement Group team then worked to rationalise our contract list so that fewer items need to be bought at the more expensive non-contract rates. They also helped us to replace a number of items on the list with lower-priced products of equal quality. Their work has directly saved us a six-figure sum, equal to 28% of our spending in this area. It has also reduced the amount of time my team spend on administration, gtiving them more time to provide proactive support to our fee earners.